well for me it seems like ages since I last wrote. So many things to tell you about, and yet so little time to do so. Today is a cool and dreary day, and so I’ve got my Old Fashioned Beef Stew simmering away on the stove. It is an adaptation of the “Better Homes and Gardens- New Cook Book” recipe of the same name: part them, part what I remember from my mom’s old recipe, and part me. One day, when I am 100% happy with my recipe and have written exactly what I did down, then I will share it with you. 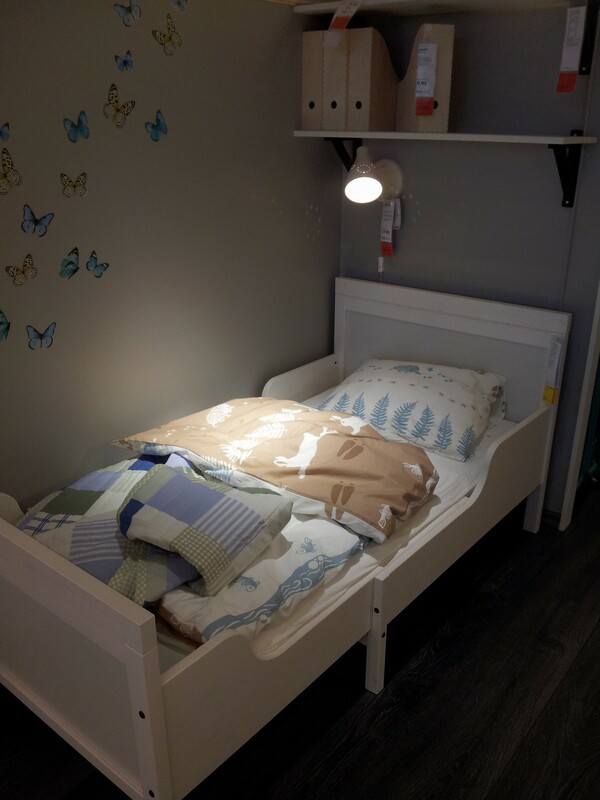 For now all I have to share is my latest tour of IKEA, now I may have to break this up into different posts so I don’t overwhelm anyone. So be patient with me, please. 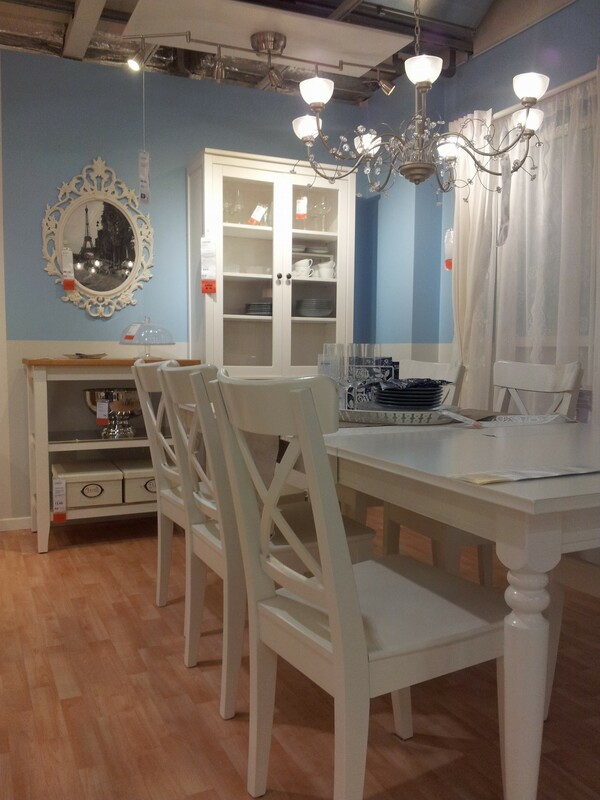 On Saturday, Countryboy wanted to go to IKEA to look for new office furniture, to add to our collection. Not being much in the mood for visiting IKEA on the busiest day of the week, I suggested we look through all the past and present catalogs I had from them, before we tackled the crowds. Of course this was a good idea, because any one who has been to IKEA will know that it is easy to get majorly distracted, from the moment you walk in it’s doors. Suspect #1: An absolutely adorable nature duvet and pillow set. It would be nice if this came in big people’s size. Maybe I will buy this and cut it up to make my own. 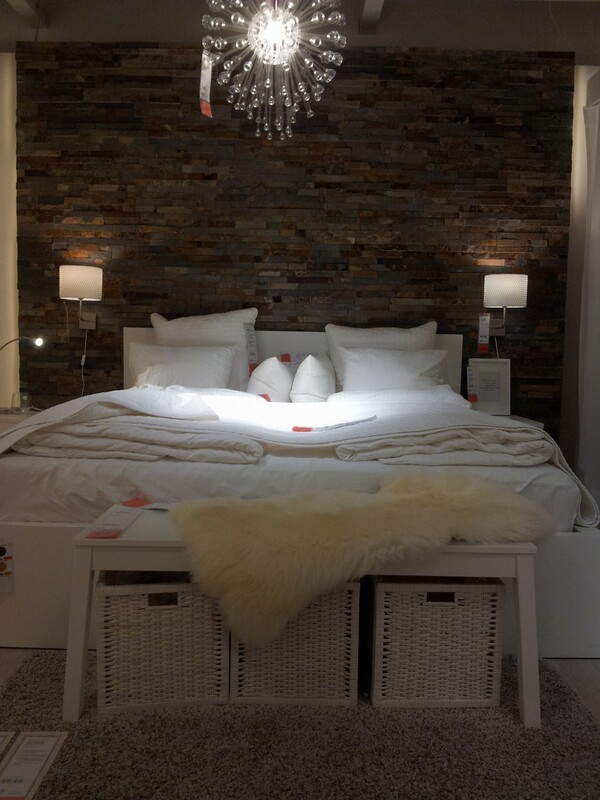 Suspect #2: This divine mountain inspired modern master bedroom. The whole look is great, except that lamp, that is a bit too supernatural for me. 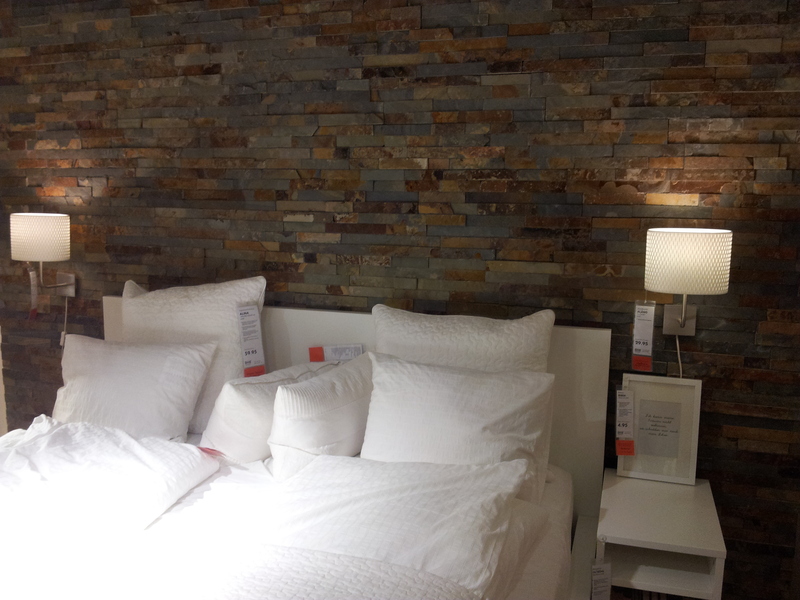 But what I really love is the wall, which unfortunately, is not for sale. If you can’t see it is shades of lovely greys, blues and browns of a copper like slate. I’ve coveted these chairs for a long time. Suspect # 4: Ok these are so me! I love both of these graphics. They remind me a lot of the Swiss Scherenschnitte paper cutting craft which if you don’t know what that is, is basically making traditional daily life scenes by cutting black paper to make a form and then backing it on white paper, with very tiny scissors. See the website here to get a better idea. I’m sure I’ve seen that they have this in the UK, but have no idea what is called. So if anyone can help me naming this beautiful craft in English, I would appreciate it. Apparently it’s called Découpage in French, but this I think gives you the wrong impression. 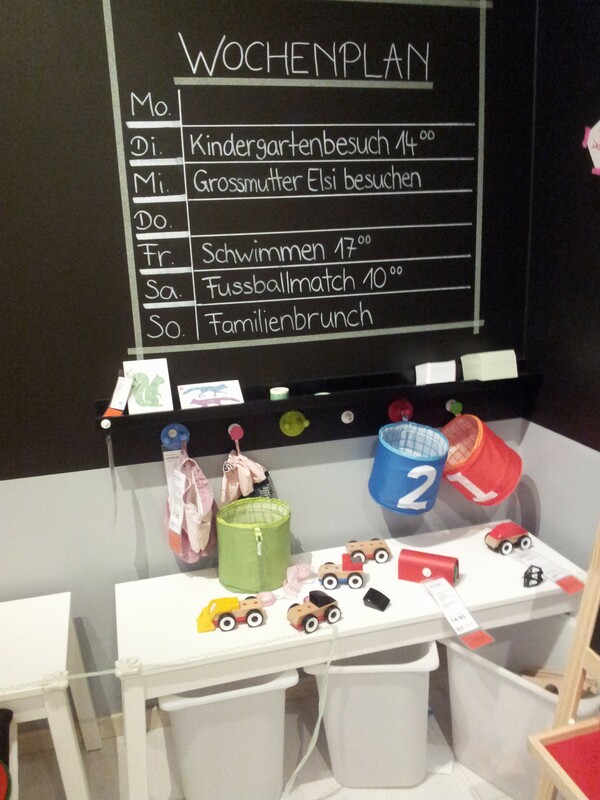 I love this idea for an easily changeable, clear schedule for everyone in the family. Would be great in our office! I Especially love this little detail. 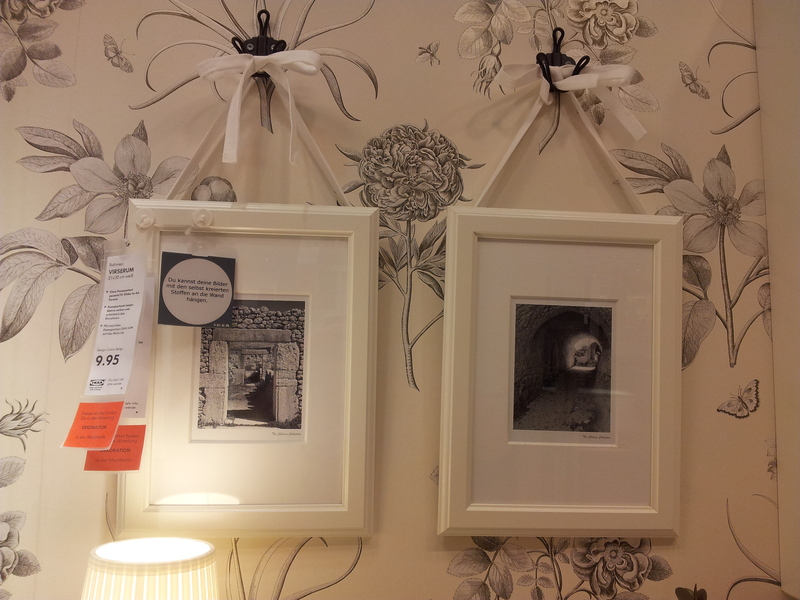 Ribbons being used to hold picture frames. 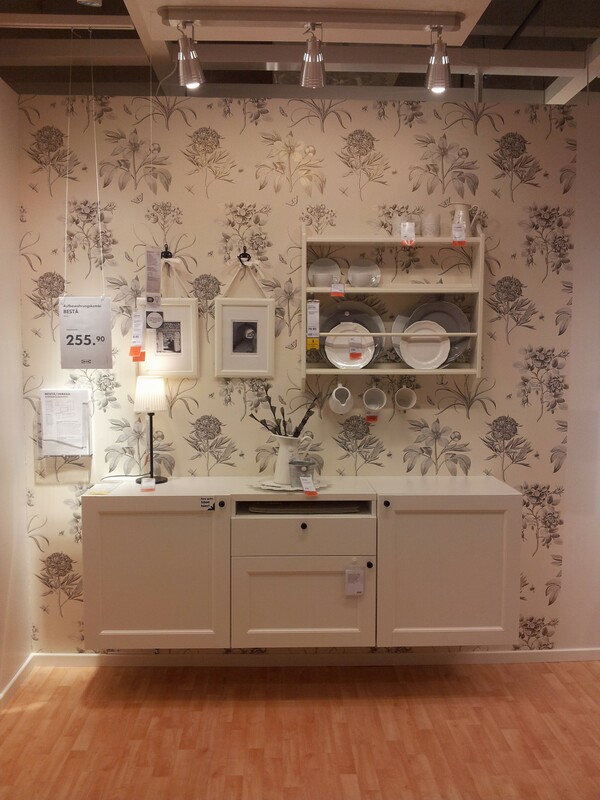 So I hope my little IKEA tour has been as inspiring for you as it was for me. 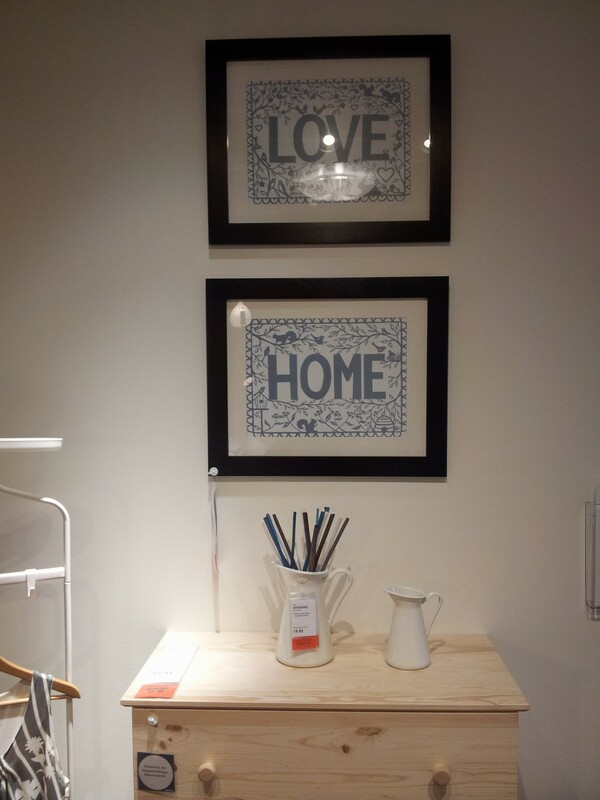 And if not, I hope it has inspired you to go and see what your local IKEA has in ways for inspiration. This was just a small peek at all the photos I took, but maybe I will share some more tomorrow. Hope you have a great, creative day!